First of all id like to thank Phillip and Linda from Aldercrest Kennels for allowing me to use pictures and information requarding Danzig. After talking to Phillip and Linda from Aldercrest Kennels in USA they also helped fill in the gaps requarding Danzigs behaviour in the ring and at home. 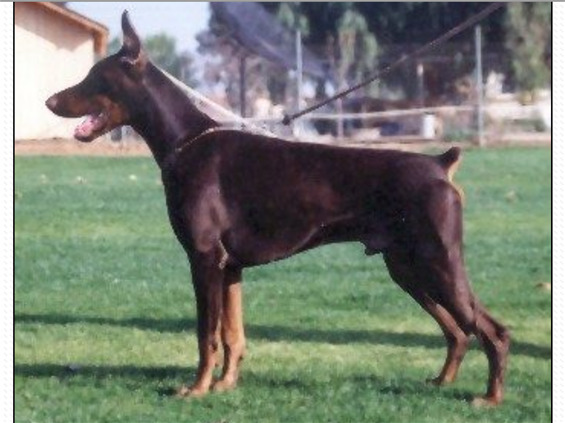 Danzig was a absolute Gentleman at home a very stable dog !, who showed love and Protected his whole family !, in the SCH ring according to Phillip he was a Lion !, Danzig also did very well in the show ring !. 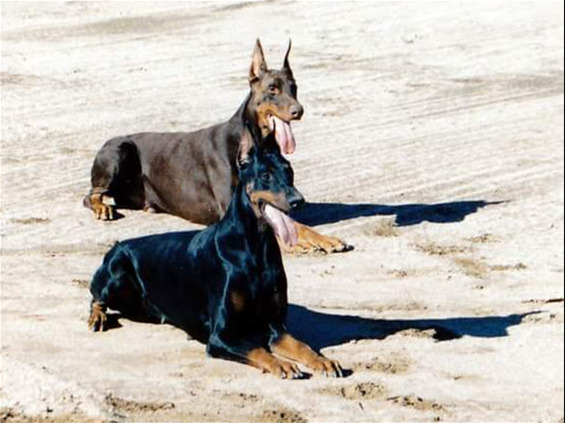 He was from a litter of 12 pups Conceived in Germany and Whelped in USA, 6 of the pups from Danzigs litter were IPO Qualified. 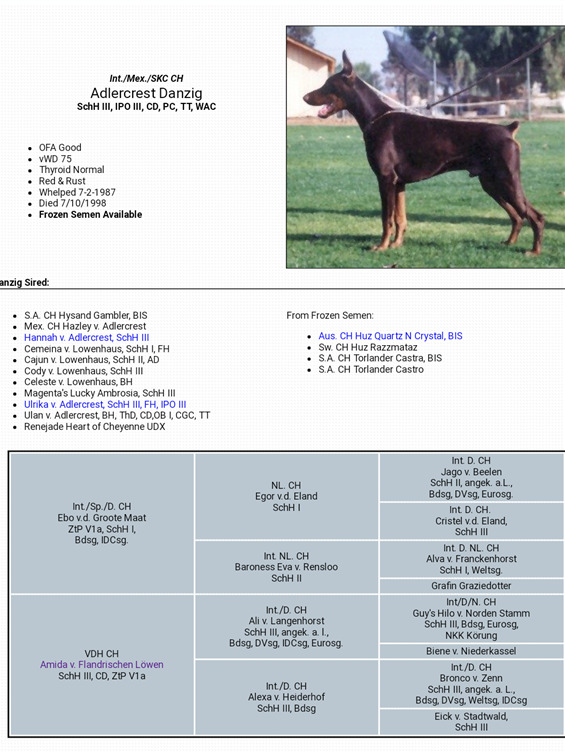 Danzig was a big brown male 44kg 72cm at the shoulder , he completed SCH111/ IPO111/ CD, PC, TT & WAC, he was a strong self assured male who has proven by past litters that he has passed on his size and Sharpness to his offspring. 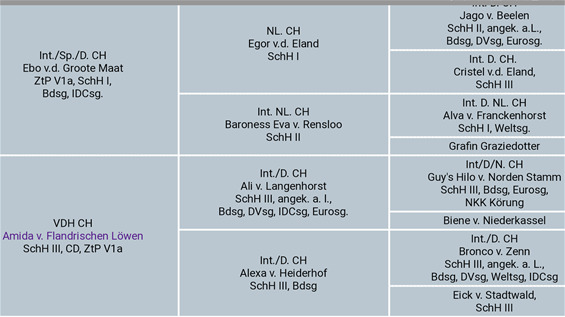 This makes Danzig a very impotant dog with strong hereditary powers passing himself to his offspring. Danzig is from some of the oldest European lines in the world ! 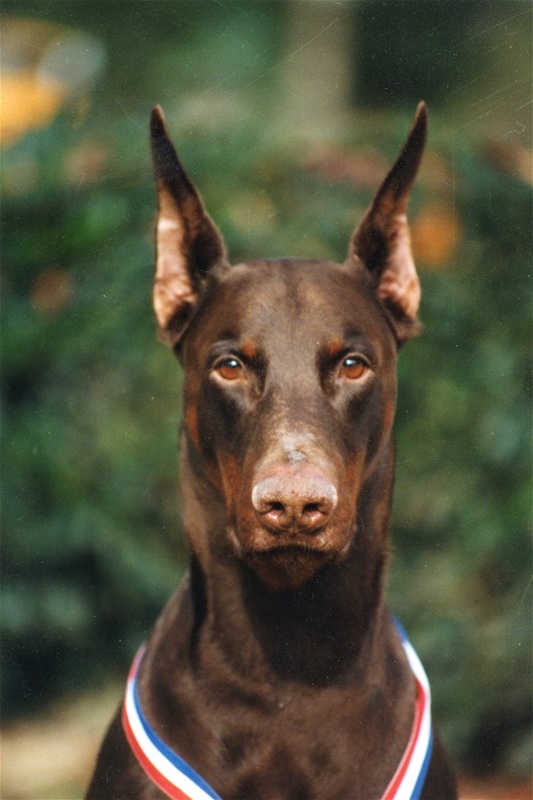 !, he was only 1 of 10 Doberman to pass his working Dog title in the USA, he is a pure EU dog. We will be using Aldercrest Danzig over our females in the near future.